Test Analysis can be defined as a technique of analysing or reviewing the facts that form the foundation upon which software testing is conducted. The documents that form test basis are requirement specifications, risk analysis reports, architecture, design and interface specifications. The idea of reviewing and analysing test documents is to make sure that the test process proceeds in the desired way. Test basis provides the needful information in order to begin with test analysis procedure by creating test cases. By analysing test document we get an insight into the number of conditions to be tested. Therefore the outcome of test analysis are the conditions, possibilities, strategy and techniques that help to direct the activities of the team in the right direction. We can proceed further explaining the concept of test analysis by first understanding the structure of a typical e-commerce website. Review test basis: This is the first and foremost step towards achieving a common goal. Each and every specification is put in place so that the team gets a hint about the functions, features, UI etc. that gives a good understanding of the structure of the system. Identify test conditions: After an analysis is carried out by the team, the next task is to create conditions which validate the functionalities and features of the system. For instance, a user should be able to cancel an order placed by him post order cancellation. Designing test cases: After we identify the various conditions that needs to be verified, we need to create test cases by preparing test data. Test data include creating input and output values on the basis of an understanding of the application. 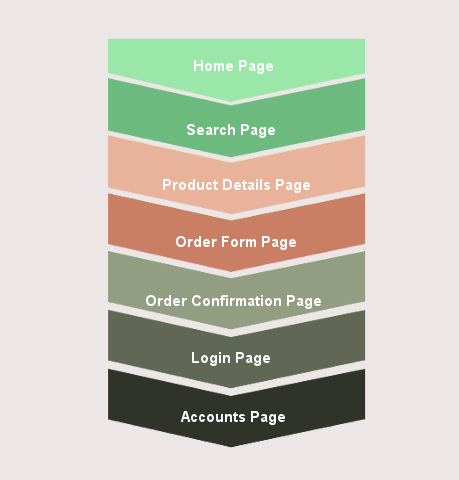 One can refer to the pattern of data use by an end user.An example of a test case could be user login -> applying filter by category-> add product to cart. Actual test data is prepared in this stage. Expected and unexpected inputs: Now the end results are compared to identify if there exist any deviation in the expected and actual output. The reason for deviation is observed and noted in order to rectify the same.